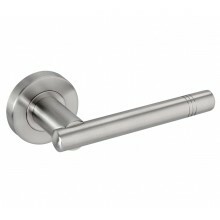 Door handles are not an item you wish to replace regularly. For this reason, it is important to understand how to maintain your interior door handles and ensure they stand the test of time. We have put together a how to guide below to ensure that your handles are preserved for years to come. 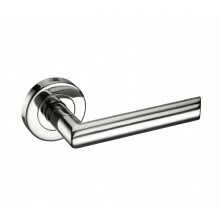 Interior door handles are most commonly manufactured from either stainless steel or chrome plated alloy. The material your handles are manufactured from will determine how they should be cleaned, so it is important to establish this information before you start cleaning them. 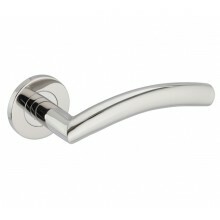 As part of a regular maintenance regime you should simply buff your handles using a dry polishing cloth. Don’t be tempted to use an abrasive cloth and be sure not to use any chemical cleaners as this will cause damage to surface of your handles. To clean your interior door handles it is advisable to use only a damp cloth to remove any dirt or debris that may have collected on the surface. It is however imperative to ensure that they are wiped dry following cleaning to ensure that no moisture collects on the surface of your handles. It is important to recognise when moisture appears on the surface of the handles and to ensure that the handles are wiped dry using a soft, dry cloth. This is especially relevant in areas of high condensation such as kitchens and bathrooms, as if moisture is left to settle on the surface of your handles it could lead to surface rust forming over time. If surface rust or stains should appear on your stainless steel door handles then a non-scratching cleaner or polish that’s for use on stainless steel can be used. Be sure to apply with a soft cloth or sponge and clean off with clean warm water before wiping the handles dry to preserve the finish. For more advise on door hardware why not check out our blogs on ‘8 Tips for Cleaning Interior Doors’ and how to ‘Repair Door Handles’.